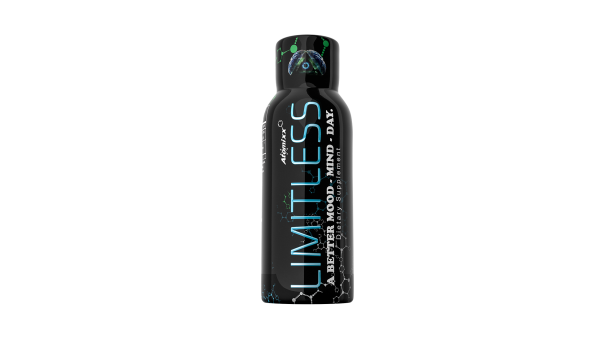 The Limitless 2oz shot is the perfect mood enhancer that does more for less. Increase your energy, focus, mood and motivation with the same shot, without the jitters, anxiety and appetite suppression associated with other energy and focus supplements. Become Limitless today. 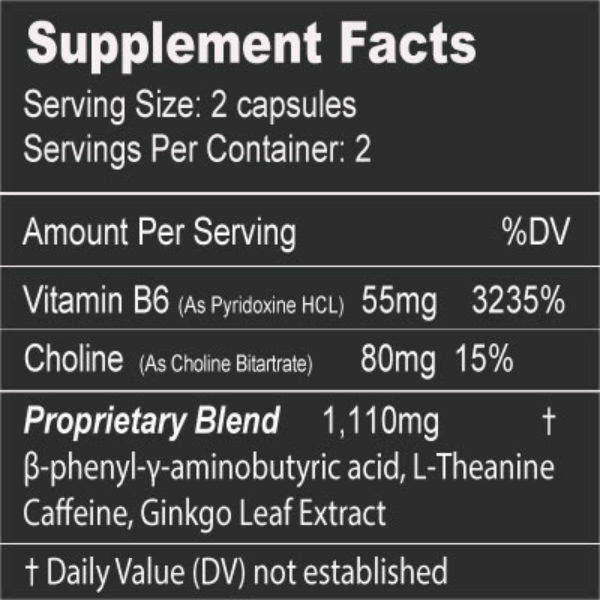 This easy to drink, 2oz shot provides mood enhancement, sustainable, calm energy and brain focus. 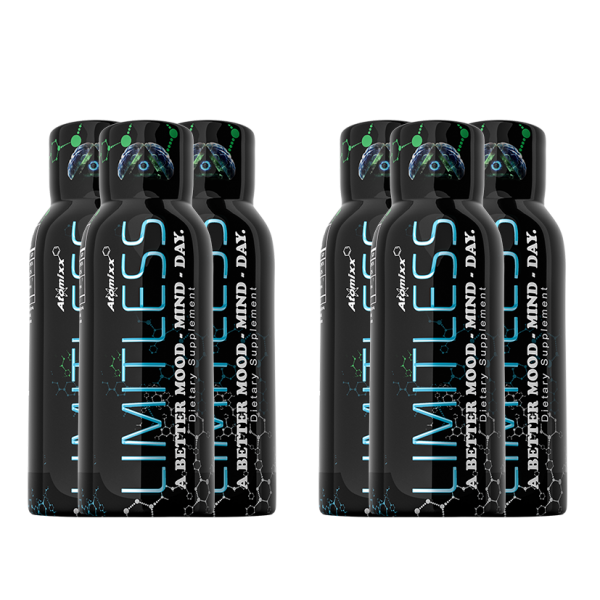 Limitless includes mood enhancing supplements and brain-boosting nootropics to make for a positive experience. 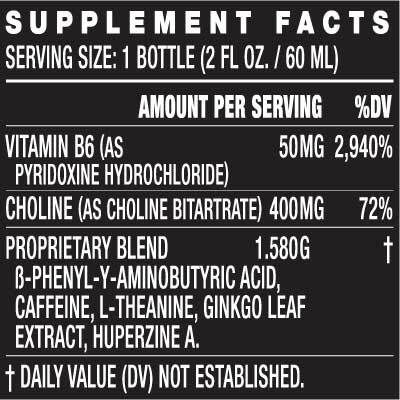 The minimal amount of caffeine won’t leave you jittery; it’s only there to reinforce the whole formula and speed up its onset, allowing you to remain productive and focused. Beta-Phenyl-GABA seeks and calms overactive brain cells, leaving you free of distraction so you can remain energized and calm. Click Here to see what people say about Limitless. Tired of being tired and unfocused? Yeah, we get that. We also get that most mood enhancement supplements are full of empty promises or take weeks to months to build up in your system. That’s why we created Limitless. 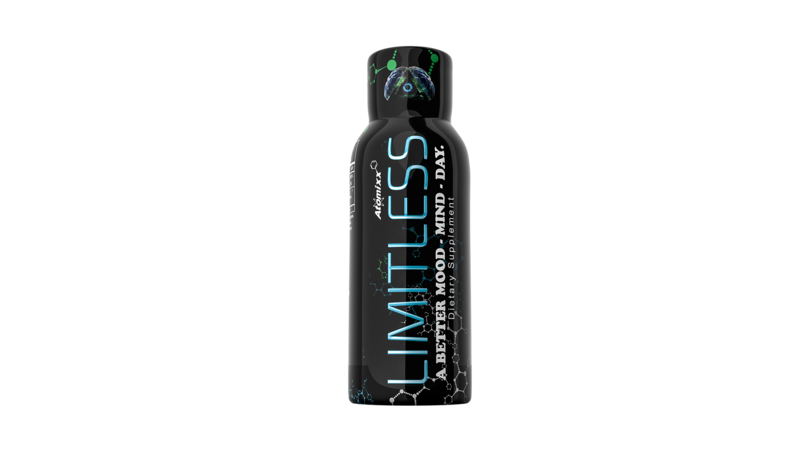 Using cutting-edge science and a state-of-the-art proprietary blend of herbs, vitamins and powerful nootropics, Limitless is the answer to mood, energy and focus supplements that you’ve been looking for. Best part? It’s all three in one. 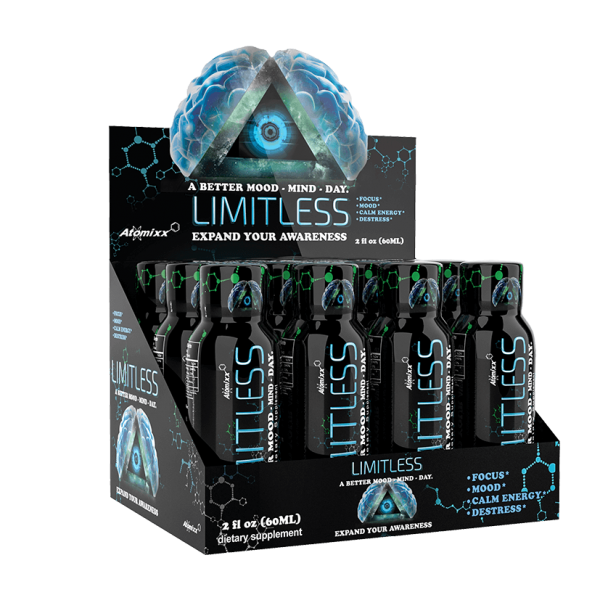 Available in pill or liquid form, Limitless allows you to harness the power and potential of your brain by calming overactive or “rapidly misfiring” neurons. The Limitless shot, available in a convenient and easy to drink 2oz. size, goes to work quickly so that you can find the relaxed, sustainable energy and focus you crave from a supplement. Get more done. Expand your awareness. Achieve a better mood, mind, day. What other mood enhancement supplements also provide a brain boost and energy? 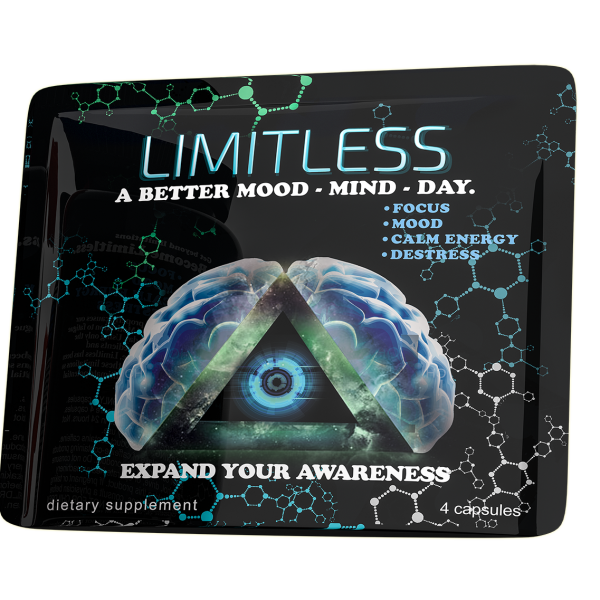 Read more about the science behind the Limitless focus, energy and mood enhancement supplement here. Our mood enhancement supplements, including the 2oz. 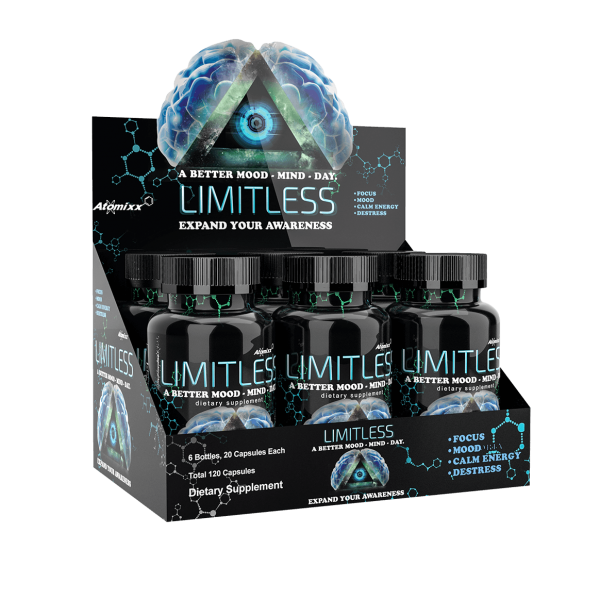 Limitless shot, are designed to slow the overactive parts of the brain to provide a wave of clarity, peace and unparalleled focus. 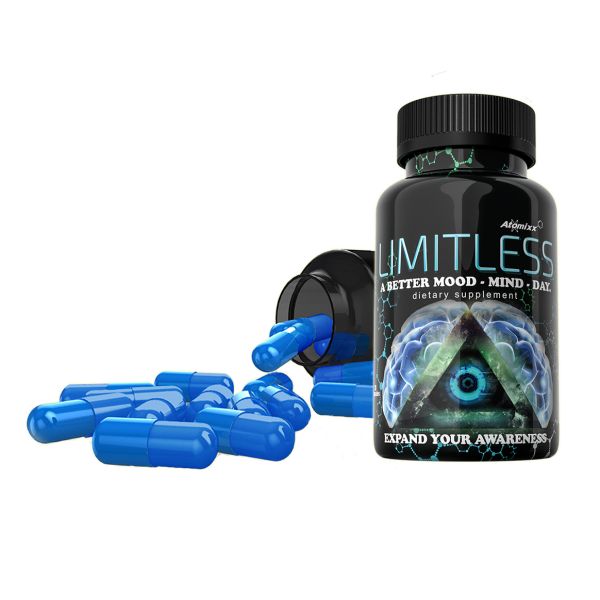 Limitless promotes mood enhancement and motivation by slowing the impulses in our brain that don’t pertain to what we’re trying to accomplish, AKA the chit-chatter of the mind. Easy to drink and tasty, the 2oz. liquid shot goes to work quickly, helping you go to work faster and more efficiently as well. Remove your boundaries. Become LIMITLESS. Q: How long does a bottle of Limitless last? A: One of the Limitless 2oz shots can last up to 10 hours. Q: Will Limitless cause insomnia? A: Other energy and focus supplements may cause insomnia, but Limitless 2oz shots are designed differently. Limitless places an emphasis on mood enhancement and mental clarity, which under the right circumstances can be applied to focusing on a relaxing and peaceful rest period. Q: How often should I take Limitless shots? Q: How many shots should I take? *These statements have not been evaluated by the Food and Drug Administration. This product is not intended to cure, prevent, or treat any disease or illness. Absolutely insanely effective. Does what it says…every bit of it. All I need is a half shot like it says…lasts a good 6 hours or so. Just wanted to say I’ve been using Limitless for about three weeks now … And I absolutely Love it !!! I currently am waiting on a total knee replacement surgery and between pain and just not having any will to get up and do anything , I needed something to help me get motivated to get out of bed . I needed without a prescription and worrying about crashing . This sounds to good to be true. Been searching for a product like this. Hope it delivers.